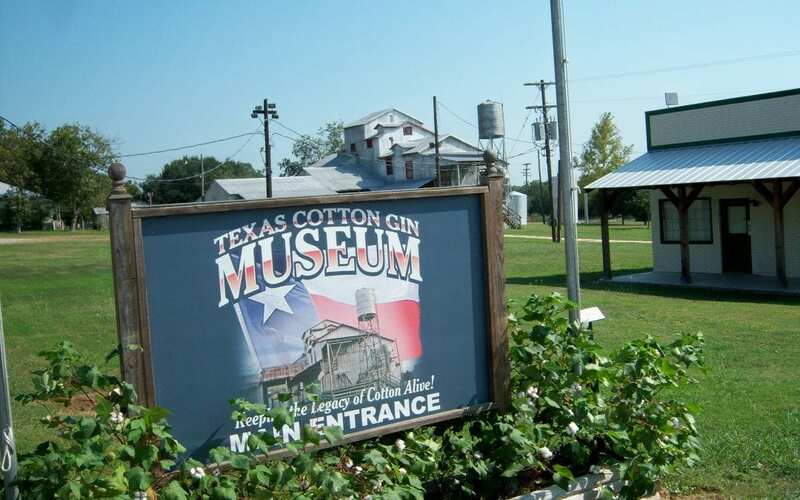 History’s alive at the Official Cotton Gin Museum of Texas, home of the oldest operating cotton gin in America. The Burton Farmers Gin is powered by a 1925 Bessemer engine- the largest of its vintage still operating in the USA! Recognized by the ASME, Smithsonian Institution, National Trust for Historic Preservation and National Register of Historic Places, museum guests are transported to an era that defined the American Spirit. Thousands of visitors from around the world tour the historic cotton gin where it has stood since 1914. Exhibits highlighting tools, equipment and photographs make the history of cotton come to life for all ages. Educational programs are available for school groups. Docent guided tours are available daily – approx. 60-90 minutes. The Museum Gift Shop has gifts for all ages and occasions offering books, t-shirts, caps, souvenirs, cotton bales, cotton boll angels, cotton boll wreaths, cotton burr jewelry and many other items that make shopping in the Museum store a treat. Daily tours offer visitors a fun and educational presentation on cotton where they discover its impact on Texas and American history, and learn how the seed are separated from the soft white fibers. Audiences of all ages enjoy the video “Cotton: From Wagon to Finished Bale” in the Centennial Theater. The guided tour of the historic gin is always a highlight! Museum open 10am – 4pm Tues-Sat, free admission. Gin tours at 10am and 2pm- admission $6 adults, $4 students. Closed Sunday, Monday and major holidays. Group Rates available.